Deptford Job centre – no, not the boring bar. 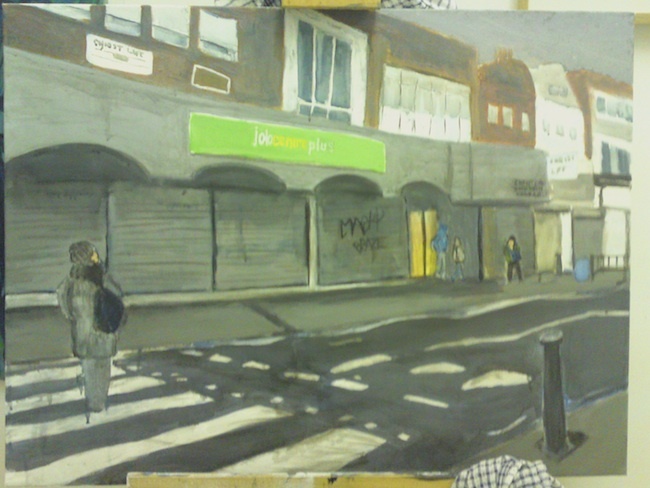 I’ve wanted for some time to reproduce a painting I took at least 3 months to paint back in 2013, a rendering of Deptford Job centre, with the addition of 2000AD collage. I sold the painting on its first showing, for a reasonable sum of £150. 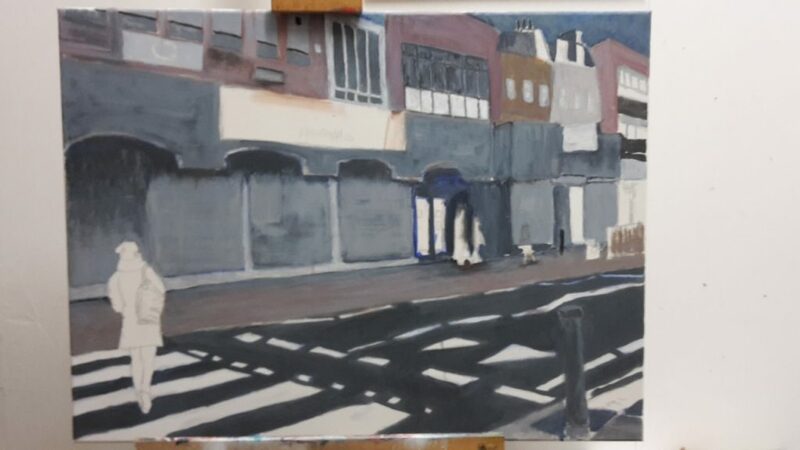 Interestingly, the owner of the Job centre building (not the building that is now Poundland, next to the bar) came to a Deptford X event when I had an open studio; he mentioned that it was his building, gave me his card with a request for a price when finished. When I later asked for £100, the owner then had chilly toes and backed off – what a shame a rich man can’t spend a bit of pocket money on a painting that wasn’t commissioned.